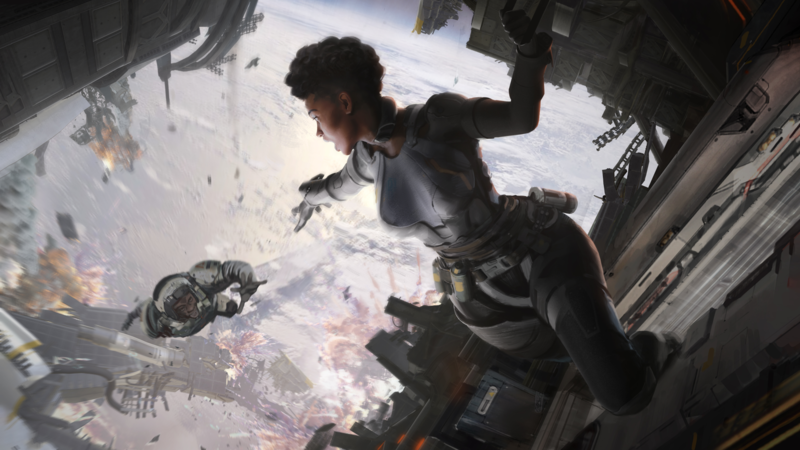 Home/Tech News/Why Has Apex Legends Become So Big, So Fast? EA turned a lot of heads with their release of Apex Legends earlier this month, which, surprisingly enough, has surpassed all expectations and has been breaking records set by what was once considered the undisputed king of Battle Royale games, Fortnite. Not even EA could have expected this. After all, as early as in the first week of February, EA’s roadmap for the first quarter of 2019 was pretty clear: release Anthem in February and update Battlefield 5 in March with Firestorm, the game’s own take on Battle Royale. But, with the success of Apex Legends, with popular streamers such as Shroud, Dr. Disrespect, and even Ninja, providing them with all the publicity that any company could hope for, EA will have no choice but to reconsider and think about what they’re going to do next. Then again, we’re not here to talk about what EA plans to do next. Nor, will we pretend to have any knowledge whatsoever. Rather, what we’re here to discuss is Apex Legends, and how the game went from what was essentially a Hail Mary release to being this gaming phenomenon that’s taking the gaming world by storm? Following in the footsteps of PLAYERUNKNOWN’S BATTLEGROUNDS, Apex Royale is the next trendy game in a trendy genre, although it might just end up trumping all that came before it. Much like MOBAs and FPS were in years past, Battle Royale is currently the trendy genre at the moment. Ever since PLAYERUNKNOWN’S BATTLEGROUNDS went public beta in March of 2017, Battle Royale has quickly become the go-to genre for majority of the gaming audience. This is largely because of how popular and how accessible the game is. Even total beginners can play the game, net some kills, die, jump back into another game, and try again in a matter of minutes. Apex Royale is just the latest in the long line of games who are hoping to jump in on the trend. However, unlike other games who were developed by relative newcomers, Apex Legends has the brains behind the Titanfall series driving it, which is arguably the smoothest and intuitive shooters release in recent memory. This gives Apex Royale a huge advantage over other shooters looking to take on Fortnite. One of the best things that Apex Royale has going for it is how smooth it runs on all three of the main platforms. This is a rarity because, most games these days, especially a Battle Royale, is usually only released to jump in on the hype and is later on refined based on player feedback. EA and Respawn Entertainment did neither of those things. Because the heavily modified Source 2 engine used for Titanfall 2 was already in place, the developers didn’t need to build the game from the ground up. They took what they had, tweaked it to deliver a large map with extensive draw distances more efficiently and focused less on visual aesthetics so they could put more emphasis on the most important aspects of multiplayer shooters, like clarity, readability, and more importantly, smooth game play. In away, Apex Royale succeeded simply because it was a complete game from the get go, and people naturally gravitated towards it. EA and Respawn Entertainment didn’t really build any hypr for the game. They announced and released it on the same day. It’s a rare move that worked particularly well because it didn’t allow for any players with high expectations walking away disappointed. Not to mention, it was free-to-play and available the same day it released, people had no reason not to give it a try, and because it was good, they stayed. Of course, that’s only part of the question. The brains behind the marketing and advertising the game also were smart enough to know that typical advertising wasn’t just going to cut it. Because Fortnite was caught in its longest season yet as a result of the holiday season, Apex Royale had the perfect opportunity to be advertised directly by the people who can influence millions around the globe — the big streamers. With the popular names in the Battle Royale genre endorsing and playing the game non-stop, as well as the fact that the people behind Titanfall are the same ones behind the much-beloved original Call of Duty titles, Apex Royale was able to create the perfect storm. EA doomed the Titanfall series the moment they decided to release it in the small timing window between the latest Battlefield and Call of Duty titles, which are easily the two most popular FPS titles today. Although the game’s sales were nowhere near abysmal, and the games were critically acclaimed, a lot still felt that Titanfall could have been a lot bigger had it not fallen under the shadow of “bigger” franchises such as Battlefield and Call of Duty. But, even so, Titanfall remained popular and a favourite among fans of shooters. With the release of Apex Legends, many of the franchise’s fans immediately jumped ship, especially since majority of them expected Titanfall 3 to come out at some point this year. For the amount of polish that you’re getting with Apex Royale, you’d expect to pay at least as much as you would for a copy of PLAYERUNKNOWN’S BATTLEGROUNDS, but you don’t have to — the game is free to play! Regardless of whether you’re using a PlayStation 4, Xbox One, or a PC, all you need to do is to hop on over to their website, install the game, and that’s it. While we should expect the monetization scheme to change slightly once EA starts figuring out how much money they need to be making and how much potential money they can make from the game, it’s highly likely that the changes won’t be as drastic. Is Apex Legends Going to Overtake Fortnite? Apex Legends is already bigger than Fortnite was at its point in the lifecycle. However, to say that it could be bigger and overtake Fortnite is stretching it. Yes, Apex Legends is breaking records and making EA look like geniuses. We just haven’t seen enough of it yet. Not to mention, EA hasn’t really released any concrete plans on whether they plan on turning Apex Legends into an actual esport title. On the other hand, Epic Games are all-in on the Fortnite hype train. They have invested so much money into the game. Pro players and streamers, which draw the most audiences, will always go to the game that makes the most financial sense for them. Right now, Fortnite is experiencing a downswing due to numerous factors, and Apex Legends is only just one of the many. Until we see Apex Legends maintain its popularity over a long period of time, we have our reservations. As it is, though, Apex Legends is an excellent game and you’ll be thanking yourself for taking the time to play it. What do you think is the next logical step for Apex Legends? Should EA go all-in on it and try to see where it leads? Or will they be better off focusing on their other IP’s instead? Be sure to let us know your thoughts in the comments down below.